The "Ladejarl" was out of service on Sep 20, 2011, due to engine trouble. The replacement ferry "Agdenes" too had technical difficulties leaving only on ship on Kystekspressens service between Kristiansund and Trondheim Problems arose before the departure from Kristiansund at 08.00 a.m. as the starboard engine could not be started, probably due to an electronics failure. A technician able to undertake repairs was traced in Sandnessjøen, but would arrive at Trondheim only by 8 p.m. Thus, the "Ladejarl" sailed from Kristiansund to Trondheim on only one engine and, no passengers on board. 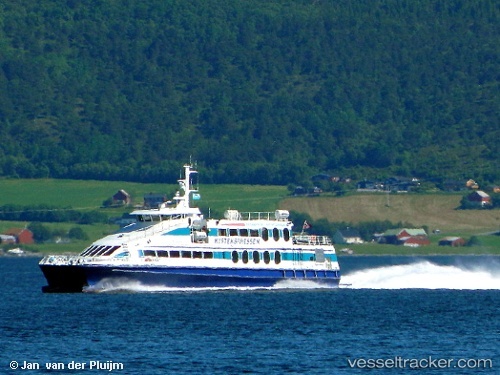 In the run of the day it was announced that also the departure from Kristiansund to Trondheim at 4.30 p.m. was canceled because of the ongoing technical problems.